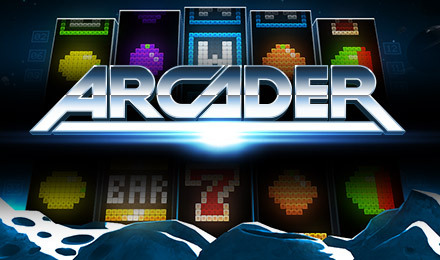 Great wins in Arcader | Login & play! Enjoy FREE spins, multipliers and sticky Wilds every time you play Arcader Slots at Wicked Jackpots! Fly through space and win win win! Good luck! Go on an adventure through space and win big when you play Arcader Slots! It has a space invaders theme mixed with your traditional fruit machine. There are 5 reels, filled with pixelated and colourful symbols, in addition to 15 paylines. The W, is your Wild, which can also be sticky, and 3 or more M’s will activate your Mystery Game with multiplied wins. There are also FREE spins and a 96.1% RTP!